Increasingly, the structure of the Anglican Communion has become a topic of concern, sometimes overshadowing the Communion’s theological conflicts. The Archbishop of Canterbury has become more influential in Communion affairs, as has the Primates’ Meeting. The Anglican Consultative Council is operating under new rules. Its Articles of Association and the potential adoption of an Anglican covenant have made the status of the Standing Committee both confused and controversial. Ironically, the enemies of theological innovation have promoted organizational innovation to allow the Communion to deal with conflicts involving doctrine and practice. In the short term, the Anglican Communion is in danger of degenerating into a chaotic muddle in which discussion of organizational issues threatens to overwhelm any conversation about Christian mission. The best way forward, I think, is not a more authoritarian leadership that will make the trains run on time, but a return to a more collegial Communion that fosters coöperation and sharing without demanding lockstep uniformity. That this actually might be possible does not seem to be a widely held view, but the goal should be kept in mind. We can quibble about when the Communion began its transformation from an instrument of mutual mission to the quarrelsome, meddlesome, dysfunctional leviathan it is fast becoming. Certainly, the transformation accelerated in 2003 when Archbishop of Canterbury Rowan Williams agreed to calling an emergency meeting of the primates in the wake of the consent to consecrate Gene Robinson. Earlier in the year, the newly enthroned archbishop had proved that he could be intimidated when the protests of English Evangelicals led him to demand that Jeffrey John decline his appointment as Bishop of Reading. When the 2003 General Convention voted to allow the New Hampshire consecration to go forward, Bishop Robert Duncan and his band of conservative malcontents knew how to pull Rowan’s chain. The October 2003 meeting of the primates set in motion what has become known as The Windsor Process, a malevolent movement with zombie-like staying power pushing the Communion inexorably toward a more authoritarian polity. When I attended Confirmation class nearly 30 years ago, I was taught that The Episcopal Church belonged to the Anglican Communion, described as a voluntary fellowship of autonomous churches that sponsored a gathering of bishops once every decade—I think the phrase “garden party” was used—and whose “spiritual head” was the Archbishop of Canterbury. The headship of the Church of England archbishop was easy to accept, since he had no actual power except insofar as he acted as social secretary for the Lambeth Conference. Thirty years later, however, the Anglican Communion possesses increasingly powerful—certainly power-seeking, at any rate—“Instruments of Unity,” each one headed by the same Archbishop of Canterbury who regularly speaks of the (actually nonexistent) “Anglican Church.” That archbishop favors some churches over others, suppresses his own beliefs in an attempt to achieve “unity,” creates confusion and uncertainty in his public pronouncements, selectively ignores the misbehavior of Communion churches, and encourages minorities in The Episcopal Church who are unable to achieve power by constitutional means to arrogate powers they do not legitimately possess. I don’t even bother trying to make a case for the resignation of Archbishop Rowan Williams. From a traditional Anglican perspective, his tenure has been a disaster. Many who disagree with me on important Anglican matters would, no doubt, agree with me on this point, though they would have a different interpretation of the evidence. I suspect that even a significant number of Church of England members also find the stewardship of Rowan deficient. Instead of focusing on the Cantuar incumbent, I want to look at the office in relation to the Anglican Communion abstractly. If the Archbishop of Canterbury is to have a special place in Communion polity, we have to ask by what right is this special status conferred. 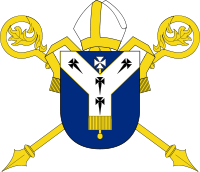 The archbishop is selected by a single Communion church, the Church of England, by means of an opaque process run by church elite. Moreover, the appointment is enmeshed with the politics of the United Kingdom. That selection process is undemocratic even within the Church of England, and no other member church of the Communion has influence over it at all. Even if the Archbishop of Canterbury had no duties other than to invite bishops to the Lambeth Conference, we have seen that the privilege to invite implies the privilege not to invite. By what right does the Archbishop of Canterbury not invite Bishop Robinson to the 2008 Lambeth Conference? That the Archbishop of Canterbury is a member of all the “Instruments of Unity” gives him unique opportunities to influence discussion and events within the Anglican Communion. There is no good reason—neither tradition nor history provide adequate rationale—that an English bishop should be so privileged. That special position of the Archbishop of Canterbury allows him, whether legitimately or not, to speak on behalf of the Anglican Communion. Nothing constrains what he says, and almost never does he actually speak for the Communion in a formally authorized voice. Surely Rowan has been known to make some strange pronouncements. God only knows what he has said to the Pope! We should not allow the world to think that the Archbishop of Canterbury speaks for the Communion as a whole. I leave it to others to decide if he even does a good job of speaking for the Church of England. Since he has made it clear that he does not always speak his own deeply held opinions, it is difficult to know for whom Rowan does speak. In his defense, the role (or roles) is inherently problematic. In any case, I don’t want Rowan or any other archbishop to be seen as speaking for The Episcopal Church. Even if we want to do so, how do we dethrone the Archbishop of Canterbury? We can start by rejecting the proposed Anglican covenant. 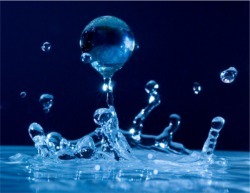 The covenant institutionalizes the “Instruments of Unity” as never before and centralizes power within the Communion. The fight to separate the Archbishop of Canterbury from his special privileges will be long and difficult, however. I hope that our own Presiding Bishop, in her travels to other Anglican churches, is beginning to build a coalition to oppose those who would transform the Communion into a worldwide church on the Roman model. More churches have to learn to just say no. And who will lead the Anglican Communion if not the Archbishop of Canterbury? I don’t know. Does the Communion even need a formal leader? To the degree that the Communion needs any centralized administration, a competent bureaucrat should suffice in the role. If we must have a figurehead, that person should be kept on a short leash, not be required to be a primate (or even ordained), and should be elected by the provinces of the Communion—one province, one vote, determined as each province chooses. The brevity of “A Very un-Anglican Covenant” makes it ideal to share with other church members, especially those with a short attention span and those who think that whatever happens “over there” cannot affect The Episcopal Church. Particular points made by Modern Church are enhanced through links to other essays on the Modern Church site that offer more in-depth information and discussion. “A Very un-Anglican Covenant” discusses powers the covenant gives to the Standing Committee. (The essay refers to the “Standing Committee of the Anglican Communion,” but that committee has itself just rejected the more pretentious name.) To appreciate the role assigned to the Standing Committee, you might want to review my own January 14th post, “Section 4 Decoded,” where I offer some helpful diagrams. 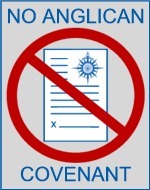 The clarity of “A Very un-Anglican Covenant” should be helpful for all opponents of a covenant in their discussions. Go read it now. As I explained in “Communion Transparency, Take 2,” the ACC, which had been an unincorporated entity, was in the process of becoming a private limited company in England and Wales. In its new incarnation under English law, it would be governed by its Articles of Association. For the past few months, before the Articles received governmental approval—that seems to have happened on July 12, 2010—the ACC apparently has been operating under the Articles, which the Anglican Communion Office refused to make public. (Lewis Carroll had nothing on the ACC.) Questions about how the ACC is being run have recently been raised by the Anglican Communion Institute and the American Anglican Council. A related story by George Conger in The Church of England Newspaper did inspire confidence. As is obvious from “Communion Transparency, Take 2,” ACC-13 seems to have approved a kind of blank check with regard to the contents of the Articles needed to incorporate the ACC, a fact that helps explain the anxiety about ACC rules expressed both from the right and from the left. All the foregoing is context for what happened to me when I sat down to work at my computer today. Taking up Jim Naughton’s challenge, I had begun a few days ago to compare, provision-by-provision, the former rules of the ACC to the new rules. Today, I discovered that the Constitution and Bylaws of the ACC had been replaced at their accustomed place by the new Articles of Association. As best as I can tell, the old ACC rules have disappeared from the Anglican Communion Web site. This sent me into something of a panic, as, for a time, I thought I had lost the previously posted Constitution and Bylaws. Do Rowan Williams, Kenneth Kearon, and the rest of the Lambeth crew really think that no one is paying attention or cares how they do their jobs? Apparently, a bane of civilization 120 or so years ago was woolen underwear. One alternative was provided by the Deimel Linen-Mesh Company. (The underwear apparently was made from a linen-cotton blend of some sort.) I had heard of Dr. Deimel underwear, and, rather by accident, ran into the above advertisement from The Daily Princetonian of February 11, 1904. I have seen Dr. Deimel underwear described as being made by a British company, but the only addresses I have found for the Deimel Linen-Mesh Company are in New York and San Francisco. Dr. Deimel, a physician who left Denver in 1891 and went to Southern California in search of health, says that while living in a little mountain resort he learned the benefits of wearing linen next to the skin, and upon this discovery has been based the large business which he has reared. He has relinquished the patents on his machinery, he states, so that the advantages of his methods of manufacture may be spread as widely as possible. I suspect that Dr. Deimel is Henry L. Deimel, a German immigrant, who was president of the company in 1909. Apparently, we’ve been missing a bet here. I have no reason to think I am closely related to Dr. Deimel of underwear fame, but I am nonetheless intrigued by the product and the company that produced it. If you know anything more about the company or the underwear, please write to me. Daniel Schorr (left) and NPR's Scott Simon. 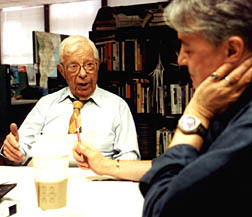 Journalist Daniel Schorr, late of National Public Radio, died today at the age of 93. Schorr had had a number of employers, notably CBS and CNN, but he had a long and seemingly happy relationship with NPR. No doubt, many younger listeners associated Schorr with NPR, but I always thought of him as a CBS man, a hiree of the legendary Edward R. Murrow. In recent years, I had taken to listening carefully to Schorr’s commentaries on the radio. They were as literate as ever, but his distinctive voice had become just a bit shaky. Year after year, I asked myself how long he could keep up his analyst’s job. For a very long time, it turns out. He died quietly today in the company of his family. He will be missed. Daniel Schorr made journalism seem like a very noble profession. N.B. The NPR story on Daniel Schorr can be found here. The Church of England is the original big tent. The idea was that those English Catholics who didn’t want to look to Rome would agree with the moderate Puritans to dis­agree about doctrine. They would concentrate instead on worship, kneeling together in the parish church, united in common prayer. This peace treaty created the English distrust of doc­trine and -isms. These were the stuff of revolution and the Con­tinent. In our stolid empirical way, we would get on with prayer, and leave the doctrine to God. But things are different now. For one thing, over the past few decades and in the name of diversity, we have been given permission to worship in a variety of different ways, with little uniting thread. Some flap their hands towards an overhead projec­tor; others throw incense at statues to the rhythms of the Roman missal. Fresh Expressions is the latest fig-leaf for liturgical anything goes. Also, in a more recent develop­ment, the Puritans have discovered an alternative life-support machine for their 17th-century Calvinism: the Anglican Communion—some­where where the peace-treaty ap­proach has never made any sense. These observations follow the General Synod debates over women bishops and the demand that provisions be made for those who cannot accept such an innovation. In other words, the English Catholics want to retreat into their own exclusive enclave. All of this raises the question whether the peace-treaty model is viable any more, even in England. Could it not be argued that yoking together such different theological sensibilities in one Church is ac­tually a recipe for continual civil war? I’m not so reckless as to offer advice to the Church of England regarding how it should deal with its internal conflicts. (My inclination is to say do the right thing and let the Puritans and Catholics deal with it, but I might be missing something here.) 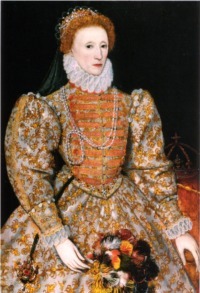 It is interesting, however, that the Elizabethan Compromise of worshiping in a uniform way and avoiding interminable doctrinal arguments has degenerated, in the mother country of Anglicanism, into worshiping in very different ways and getting bogged down in irresolvable theological disputes, whether directly or by proxy. The failure to revise the prayer book since 1662 is surely important here, though whether as a cause or a symptom of the Church of England’s problems I cannot say. The Episcopal Church is more diligent about revising its prayer book, but the trends of expanding liturgical diversity and increasing doctrinal conflict are certainly discernible in our church. I think they are less prominent here, but it must be admitted that schism, at least in the immediate past, has been more of a problem for The Episcopal Church than for the Church of England. Hedge your bets on future developments, however. I believe that a stable Anglicanism requires the limiting of liturgical diversity and a kind of don’t-ask-don’t-tell approach to doctrine. It also requires that canonical liturgy (or liturgies) be seen as relevant and contemporary. Non-standard worship and extreme theology seem to go hand-in-hand. It is certainly true, in any case, that many of the congregations that have left The Episcopal Church, reputedly over doctrinal issues, worship in a style that would make the average Episcopalian feel uncomfortable and out-of-place. Google the words “Anglican Communion” and you’ll find plenty of news stories, usually centered on controversies about the gender or sexual orientation of a person in a leadership position. As a journalist for much of my life, I understand why such controversies are reported and, in fact, must be reported. But those are stories about Church as an institution. There’s another kind of “church” story, about Church as a movement of spirit. And that’s what you’ll find with Trinity Wall Street’s Anglican Communion Stories. As I am writing this, “Anglican Communion Stories” comprises seven videos, averaging about 9 minutes in length, of Anglicans—many of them Episcopalians—carrying the Good News into the world in very practical ways, in locations from California to Ghana. The site also contains similar stories, in various formats, not produced by Trinity Wall Street. As a native New Orleanian, my favorite story is about a new church, All Souls Episcopal Church, in the Lower Ninth Ward, an area of the city not served by an Episcopal church before Katrina. The Trinity Wall Street stories are, of course, feel-good stories, but they are stories about which we should feel good. What struck me about them, however, is that primates, including the Archbishop of Canterbury, are never mentioned. Neither is the Anglican Consultative Council nor the Lambeth Conference. These stories are about mission carried out mostly by individual Anglican churches, though sometimes with the help of other Anglican bodies. They represent the real work of the Gospel. The efforts they depict are unaffected by the so-called Instruments of Unity, which seem more about inhibiting mission than advancing it. The work is unlikely to be helped by adopting an Anglican covenant or, generally, by the creeping bureaucracy of the Anglican Communion. That said, I should add that a properly conducted Lambeth Conference, uniquely among the Instruments, has a useful role to play in advancing Christian mission. It provides an opportunity for bishops throughout the world to get to know one another and the needs and successes of their dioceses. The Lambeth Conference has led to many successful partnerships across thousands of miles. The other Instruments have been less useful. An Anglican covenant will not be useful at all. The challenge of writing a candidate song to become a new national anthem—see “National Symbols (Again)”—was exhilarating, and I am quite pleased with my contribution, “Out of Many, One.” I was eagerly awaiting the weekly posting of the podcast of the Studio 360 radio show announcing the results of the challenge to update Uncle Sam and the National Anthem. Alas, although Studio 360 chose a winner and runner-up in the Uncle Sam challenge, it completely ignored listener contributions to the National Anthem challenge. Instead, the program “recruited” the rock band The Apples in stereo [sic] to offer a replacement anthem, which the band calls “Beauty of America.” The scribbled-out lyrics to this song are shown below. Judge for yourself whether this is worthy of being the new national anthem. Twenty or so listeners had submitted entries to Studio 360 in the National Anthem redesign competition, no doubt representing hundreds of hours of labor. Entries were submitted through YouTube, so they had to be in a video format. I, for one, had never uploaded anything to YouTube, so I had to join YouTube, plan a video, and figure out how to make it. When I began work on my entry, I assumed I could just submit a PDF file of the sheet music, something I did know how to do. I gamely learned what I needed to learn, recorded the music, and produced a video. After all, Studio 360 promised “[w]e’ll present your best ideas, along with an expert opinion, on our show which airs the weekend of the Fourth.” Where were our best ideas presented on the show? Where was the expert opinion? What listeners got was a promotion of a segment on next week’s show featuring The Apples in stereo. The musical contributors, of course, got shafted. I sent e-mail to the Studio 360 producers asking for an explanation for what they did and for an apology. I’ve not yet received a reply. On the brighter side, my arranger, Doug Starr, who is also the organist and choirmaster at my church, decided that, among the other patriotic music we are singing on Sunday, July 4, 2010, we will sing my anthem during communion. (See details here.) I am looking forward to tomorrow’s world premier. On Lionel Deimel’s Farrago, I have posted more information than you could possibly want to know about “Out of Many, One.” The page devoted to my anthem includes an updated video correcting a minor grammatical lapse in the original YouTube submission. Update, 7/10/2010: It was fun to sing “Out of Many, One” in church, though I had some queasiness about its self-conscious lack of religious content. In any case, the performance was well received. We’re dismayed that you’re feeling burned by the process. Our challenges are always open to pros as well as inspired amateurs. When The Apples came in for an interview, they surprised us with their anthem. This is not to diminish the entries submitted via YouTube: we’re humbled by the effort and creativity that went into each one. We ought to have announced on air that more submissions are online—that was a major oversight. We’ll be sure to do so this week. That, I suppose, ends the matter. Studio 360 was surprised by The Apples in stereo and felt no need to solicit the “expert opinion” listeners were promised.